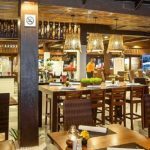 The increase in high level hotels and villas in and around Kamala has helped bring a number of chefs to Phuket to open either their own restaurant or to partner with one of the many 4 and 5 star hotels that have opened. Down in the old village you can find a number of bistros, cafes and restaurants providing a wide selection of good food at very reasonable prices. 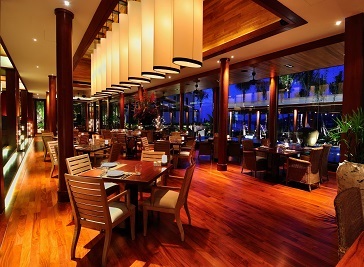 Offering traditional Thai cuisine in a contemporary setting, with infinite hilltop views over the Kamala Bay, the menu combines the finest traditional Thai ingredients prepared with a focus on authenticity of taste and texture. 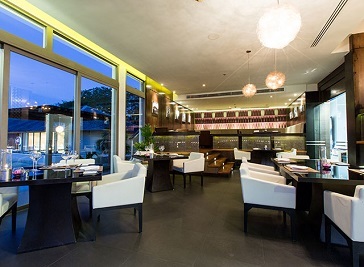 Plum Restaurant and Vanilla Sky Bar & Lounge offer an intimate atmosphere from evening onwards. Plum Prime Steakhouse at Cape Sienna offers plenty of meaty goodness, with tempting aromas from the charcoal-burning. 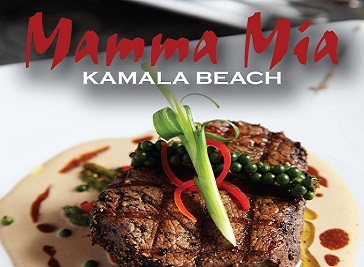 In Mamma Mia we provide our customers with a lot of different kinds of food with flavors from far and away and we also serve the very best imported quality steaks in our grill and Á la Carte menus.